James Schmitz (1911 – 1981; first SF publication, 1943) didn’t write as much as some of the authors on this list, and his work isn’t deeply philosophical, but among my favorite authors, he is one of my most favorite. Most of his writing is set in the Hub Universe, and his female protagonists are among the earliest in science fiction to have some role other than “scantily clad damsel in distress.” Telzey Amberdon (xenotelepath extraordinaire) and Trigger Argee (expert sharpshooter) are two of the most admirable female characters in all of science fiction, and the Agent of Vega series takes space opera down a couple of unlikely paths. 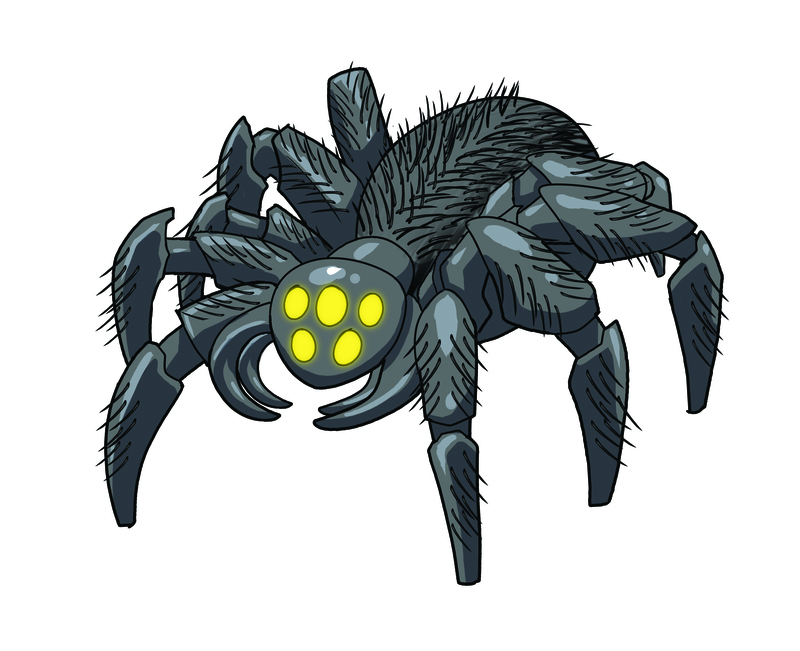 Pausert has taken on a more important cargo than he realizes, including a Sheem Spider, an animatronic, horse-sized creation that is designed to stalk and assassinate. It is a masterwork of a long dead species, and one of the primary elements in Witches.